What is Power Up Store? You can enjoy richer gameplay experiences or get benefits from items or services that Power Up Store provides. 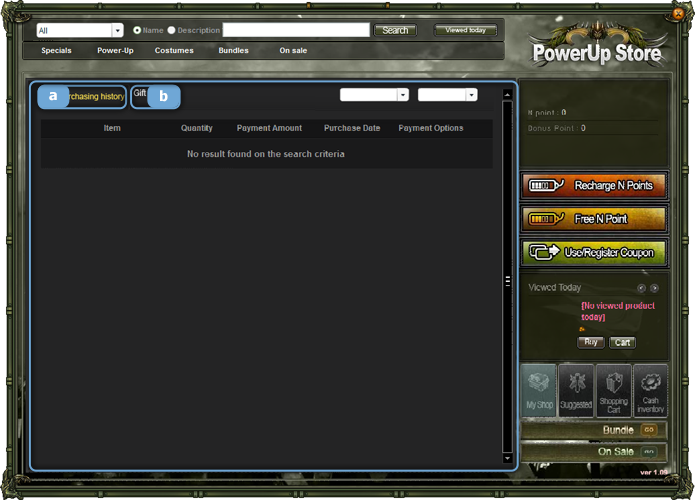 All the items Power Up Store provides can be purchased with NPoints. Click the button on the left to recharge your NPoints. 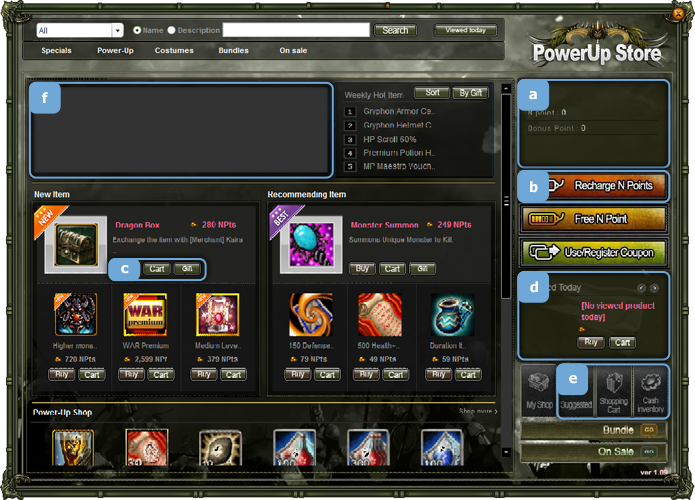 Login to Knight Online, and Click the Power Up Store button on the bottom left of the screen. Be aware that you can be attacked by monsters or enemies while you are using the Power Up Store. It shows Information on NPoints and Bonus Points. You can Recharge NPoints by clicking here. Selected Item that you can buy, Send to Shopping Cart or Send as a Gift. Items list you have viewed on the day. You can check out Suggested Items and your Shopping Cart. This tab shows the list of My History of Purchase. This tab shows the list of Gift History.